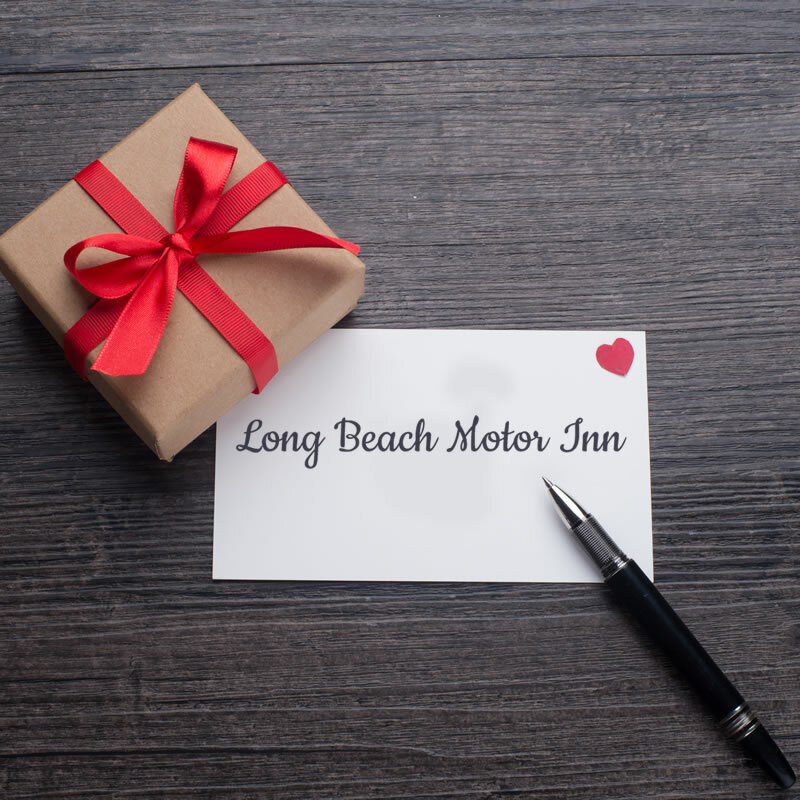 The Long Beach Motor Inn on Long Beach Avenue is celebrating 30 years in business, with its anniversary coming up later this month. 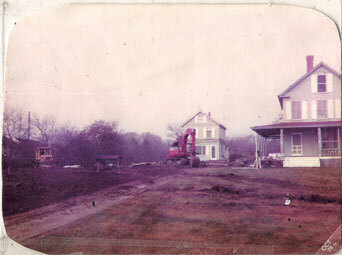 The two houses that once stood on the property were moved to new locations on Nubble Road before the inn was built in 1977 and completed for opening in 1978. 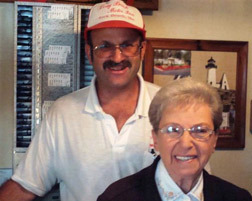 Gary Grossman and his mother, Thelma Grossman, have run the Long Beach Motor Inn for the past 30 years. YORK BEACH – Visit Gary Grossman in early April and you’re likely to find him spattered from head to toe with paint. But that paint is a badge of honor, and just a seasonal aberration, because Grossman, 51, and his mother, Thelma Grossman, run the Long Beach Motor Inn, and there, pride of place – with special emphasis on order, peace, respect and neatness – rules. Hence the trim – and all the exterior doors, and balcony posts and floors and ramps and steps and balustrades for each of the inn’s 32 units – get painted every spring, regardless of what wear and tear winter – and the assault of the Atlantic Ocean, right across the street – have brought, and regardless of how spotless the inn already looks. This year, he and Thelma Grossman have special reason to spruce up: they’re celebrating the Long Beach Motor Inn’s 30th Anniversary. 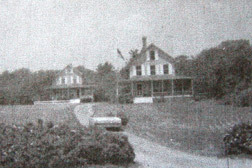 In the house on the property that serves as their home, Thelma Grossman recently described the inn’s beginnings and her part in them. A Montreal native, she reported that her husband had died there when Gary was only two and her other sons, Ronald and Allen, were just four and six. To support them all – and to do so in a way that gave her some independence and freedom to pay attention to her boys – she became a Montreal residential real estate broker. She also worked on occasion as an interior decorator. 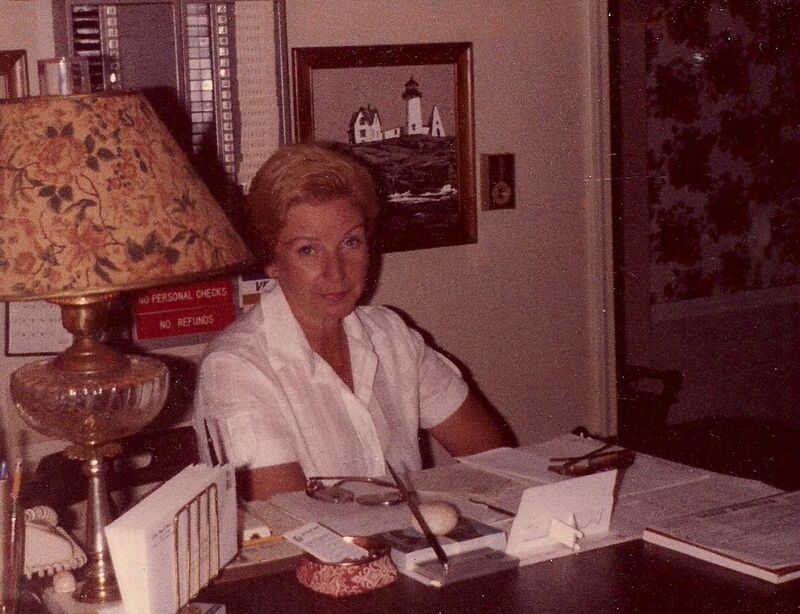 By the time Gary was 21 and she herself was only 44, she’d shaped a dream: she would own and run a motel on the Maine shore in the region of Kennebunk, Wells or Ogunquit, where she’d been vacationing every summer from the time she was a child. It was for property that included two houses on close to three acres extending inland from the road and the ocean. “That was the end of my search,” said Thelma. She’d actually hoped to buy an existing motel, all set up and running, but, faced with this very appealing site, didn’t hesitate to have plans drawn up immediately to create her own. 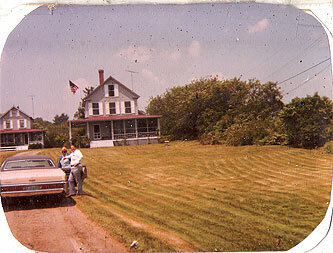 The two houses already on the property she sold to her builder, who moved them to locations out on Nubble Road. In their place she built, first, a conventional home to house herself and Gary, who joined her, once he saw the location, with great enthusiasm. Then came the inn: a long, relatively narrow building in two sections, the rear one a little taller than the front, running in almost a straight line, two-stories high, at right angles to Long Beach Avenue but beginning at some distance from it. Thelma describes this building’s exterior as “colonial,” in a style appropriate to this area, with white siding, white trim, and black shutters. The doors to each of the inn’s units were – and are – painted red. Inside, she built 32 units that are identical one to another, with the single exception of some that share an interior door that can be locked from either side; they permit families the option of expanded quarters situated back-to-back. The single units are each 14 feet wide and 24 feet deep, and now contain, in addition to beds and a full bath, a kitchenette with small sink, stove, refrigerator and microwave, plus a small table with two matching chairs. Above each bed is a ceiling fan, with another in the kitchen; come summer, there will be air conditioners in the front-facing windows. 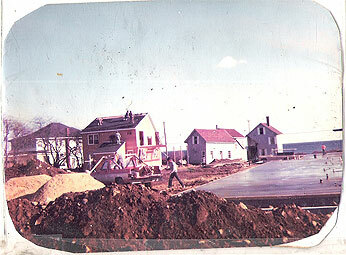 Around this building, Thelma Grossman built a paved road that makes a one-way loop from a front gate. Then, additional amenities elsewhere on the property were deemed almost as important as the inn itself: a heated, in-ground swimming pool; badminton and shuffleboard courts; an outdoor fireplace and barbecue grill; and, everywhere, neatly manicured lawns and flowerbeds. Thelma Grossman discovered the site in 1977; her buildings went up that year and the next, and she opened her doors for business on May 17, 1978. Since then, very little there has changed – not counting what’s required for constant meticulous upkeep. From the beginning, the Grossmans sought to create an especially peaceful and orderly setting for their guests. The inn’s distance from the highway helped. So too did certain policies: no pets; no smokers; no rentals to teenagers; no single-night stays (most guests come for a week or more), and families with children placed in rooms at a distance from individuals without children. 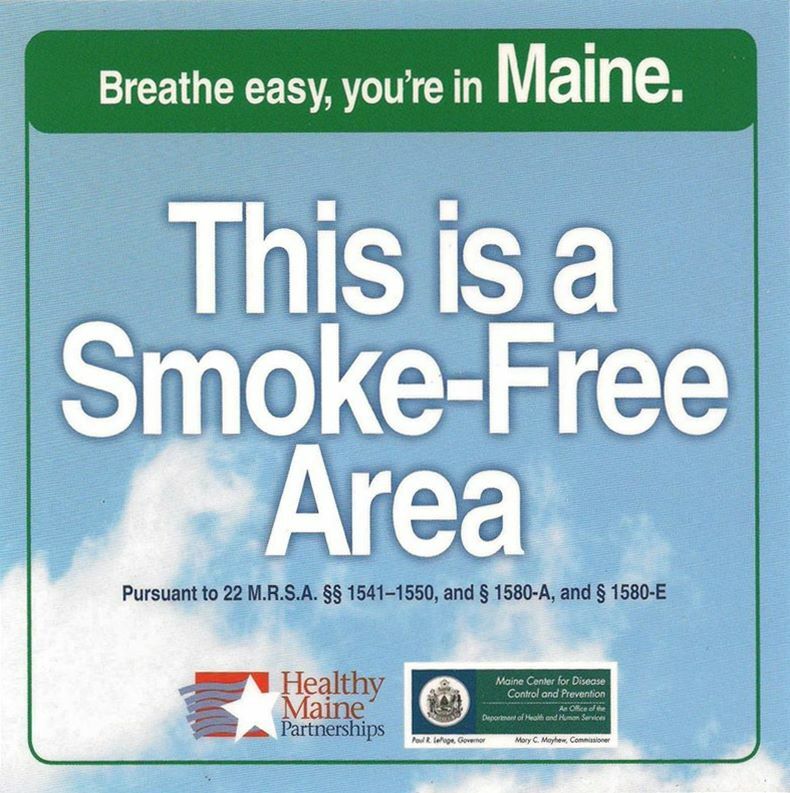 Throughout their first year, the business, says Gary, was “very quiet,” but, in the end, the formula worked well. Asked if the switch to owning and running her own business, and one different from that she’d been in, had yielded any surprises, Grossman said that real estate had actually prepared her well, since she’d long been working independently, and out among a variety of people. And, if Gary in particular needs a rest, it’s because, faced with the difficulty of getting dedicated help in the summer, he does almost all of his own maintenance, from tending the pool and all the inn’s lawns and gardens (he plants 9,000 begonias each spring) to room-cleaning. That last activity, he reports, is actually easier than it may seem, since he now personally knows most of his guests and their ways – and it also yields rewards, since his presence is reassuring to guests concerned about security. On that subject, it should be noted that the Grossmans take extra measures. Not only is their property ringed by a fence, but in summer they hire a uniformed guard, one of whose jobs it is to deny access at the gate to strangers after 10 p.m. Moreover, they have a television security system that allows guests to view that guard on a channel on their TV screens at all times. That TV security system, incidentally, is of Gary Grossman’s devising, and it’s an index to a major hobby of his that’s yielding other benefits to the inn. A self-described techno-geek, he’s installed antennae that pick up, legally and for free, countless satellite TV and music broadcasts from around the world. Long Beach Motor Inn guests are the unique beneficiaries of that accomplishment. 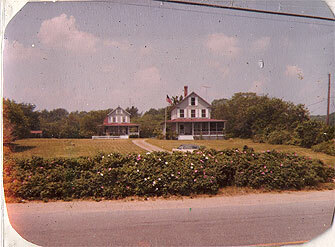 In its 30 years, and so appealingly close to the ocean, has the inn ever been badly hurt by storms? 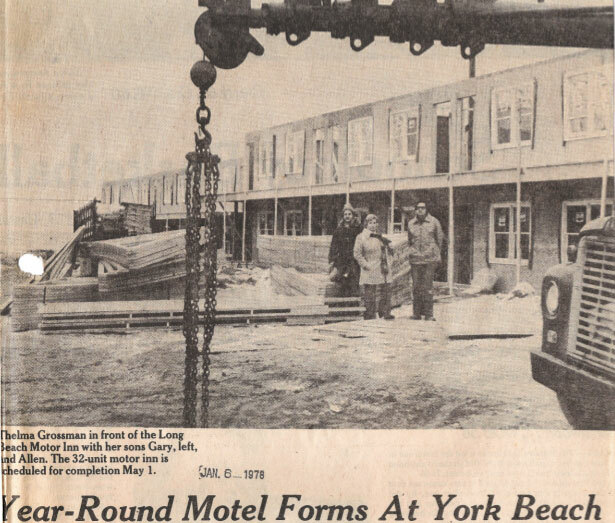 In the great blizzard of 1978, on Feb. 6, Gary says, he was standing in one of the old houses once on the property, which by then had been moved out to the road’s edge ready for its big move, when an ocean wave crashed in and blew out the front door. 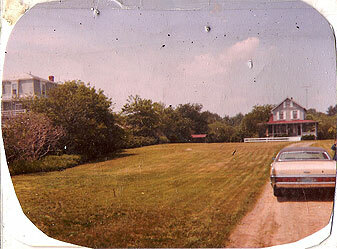 The house survived, as did the Grossman’s new home, which they had then been occupying for only six days. 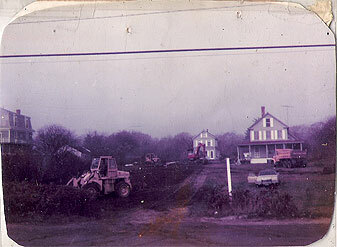 On April 6, 1982, Gary remembers a blizzard whose 30 inches of snow made all plows inoperative and stranded a guest – and the Patriots’ Day storm of 2007 sent one giant wave all the way up the inn’s driveway almost to the Grossman’s home, wiping out shrubbery, lights, lawn and Gary’s big begonia garden, but leaving the inn itself unscathed.